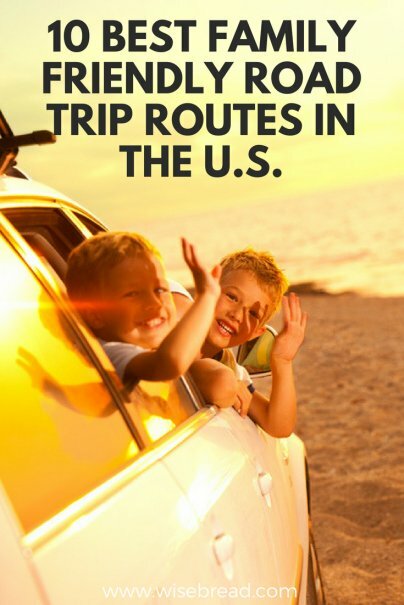 Home » Life Hacks » Family » 10 Best Family Friendly Road Trip Routes in the U.S.
Road-tripping is a great American tradition, and while some people are hesitant to hit the road with their family in tow, with the right planning, they can be an unforgettable way to spend a vacation. The magic ingredients for a great family road trip include short distances between stops, an abundance of awesome sights, and some captivating entertainment for the kids. 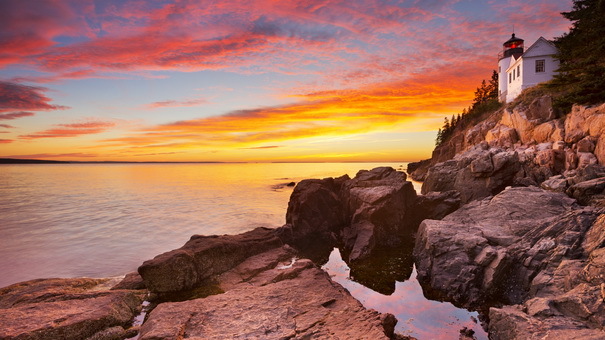 The Park Loop Road is a 27-mile route and the main road for navigating the stunning Acadia National Park on Maine's Mount Desert Island. Begin at the Hulls Cove Visitor Center and take your time navigating the largely one-way road and stop regularly at your leisure along the way. You'll find picturesque views of lakes, mountains, ocean scenery, and beaches, and the kids will love exploring these landscapes. Though the drive along this 122-mile road can be completed in just a few hours, it's a much better idea to dedicate a few days to it to really appreciate it. 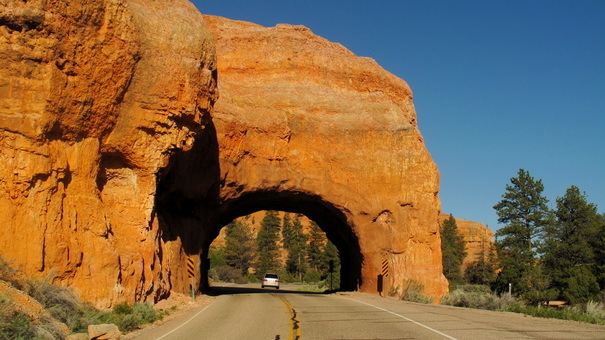 Also known as "A Journey Through Time Scenic Byway," it takes in the Bryce Canyon and Capitol Reef national parks, as well as the Escalante Petrified Forest, Kodachrome Basin, and Anasazi State Park along the way. There's an overwhelming amount to see and do. The road is also completely captivating, supplying a lookout over the surrounding rugged landscape, providing you with endless "I-spy" subject matter. This is a well-worn route that is usually completed over the span of a week, and packs a cultural punch like no other. Starting at the cliffside presidential statues of Mount Rushmore in South Dakota, you then continue onto the famous Yellowstone Park, which is spread out over Wyoming, Montana, and Idaho. 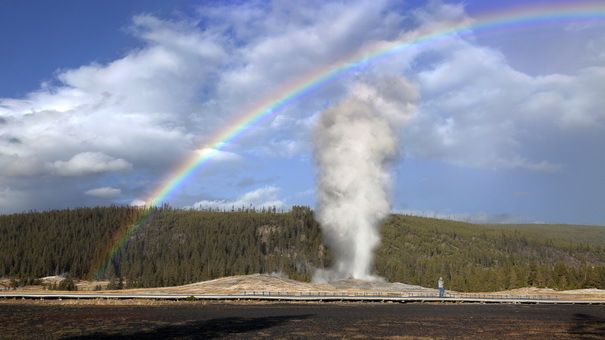 Spend a couple of days here exploring the famous sites like Old Faithful, and spotting the abundant wildlife with the kids. 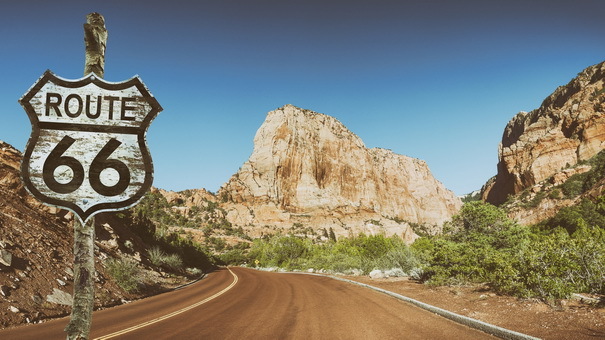 Possibly the best known of all American road trips, Route 66 is where you'll find everything from retro diners to vintage neon road signs. But despite this, or perhaps because of this, it's a fun and exciting trip to undertake. The entirety of the 2,448-mile route runs from Chicago to Santa Monica, and would be an ambitious undertaking for even the most organized of families. If your family loves the ocean, sand, and breathtaking coastal scenery, then California's Pacific Coast Highway provides all of those in abundance. 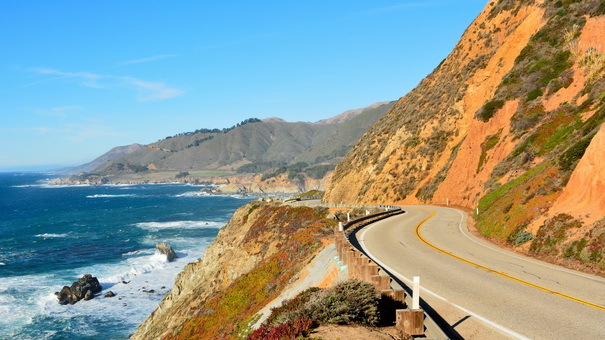 Starting in San Francisco, this highway winds its way down the coast to San Diego, taking in numerous stops at Santa Cruz, Monterey, Big Sur, Malibu, Santa Monica, and many more coastal towns along the way. For families that love nothing more than getting active in the water with pursuits like fishing, snorkeling, diving, or boating, the Florida Keys is an ideal getaway. 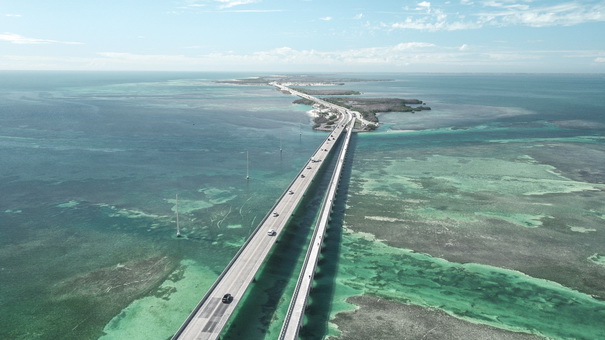 And there's no better way to take in this archipelago made up of more than 120 islands, than on a chilled out, sun-tinged road trip starting in Miami and ending in the southern tip of Key West. Stop off to explore the Everglades before embarking on the rest of the 167-mile journey over three or four days, during which you'll cross the seemingly never-ending Seven Mile Bridge. 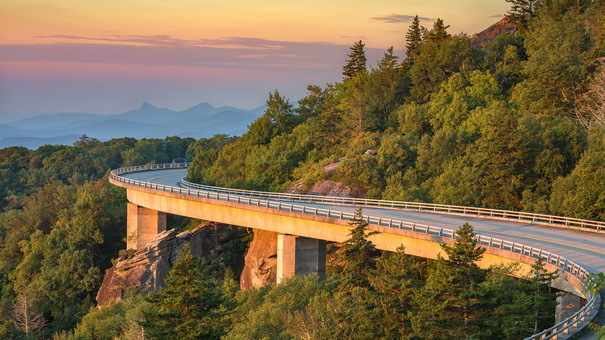 Running between the Shenandoah and the Great Smoky Mountains National Parks, the Blue Ridge Parkway carves a 469-mile path along the Blue Ridge section of the Appalachian Mountain Range. Most trips start with a day or two in Charlottesville and end in Asheville, both slightly off the parkway itself. Punctuated by breathtaking panoramic vistas that include glaciers, snow-capped mountains, rivers, and wetlands, Seward Highway feels as if it's literally out of this world. The full 125-mile route from Anchorage to Seward gives you the opportunity to stop at numerous points along the way, including the Chugach National Forest, the glacial Kenai Lake, and Bear Creek. 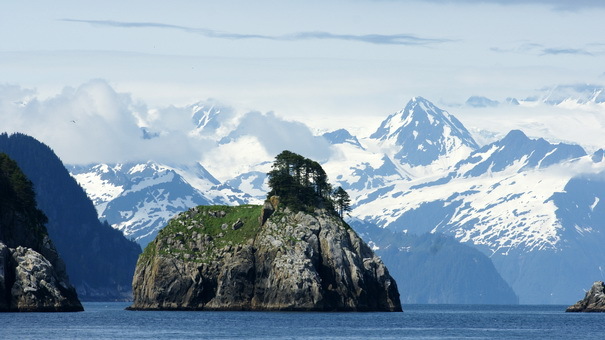 This turns what could be a three-hour drive into an all day affair, but a nice end to the trip is to stay overnight in Seward and spend a day visiting Kenai Fjords National Park, where you can watch wales and enjoy dining on freshly caught fish. 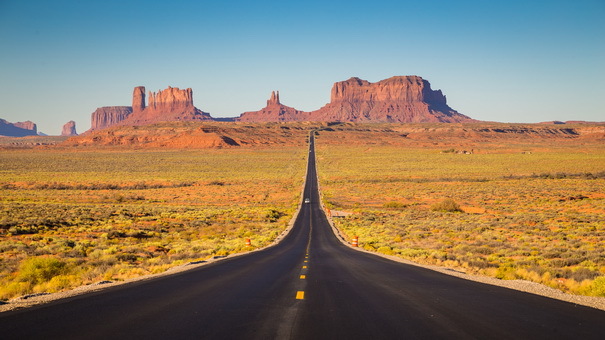 Even if by some chance you've never heard of Monument Valley, you'll no doubt recognize the scenery as it's been the backdrop in countless Hollywood movies over the years. From John Wayne westerns to Forrest Gump and Mission Impossible II, the dramatic sand towers of the striking, arid red landscapes have been captured on screen over and over again. 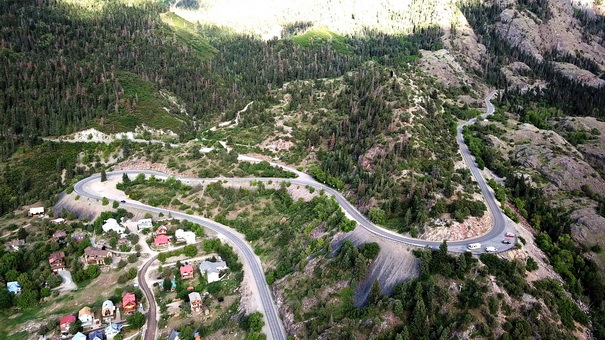 The 230-mile long San Juan Skyway is a loop that takes you through some of the very best scenery Colorado has to offer, with hundreds of peaks, lakes, and forests surrounding your car as you go. You'll find many interesting towns along the way to stop and stay in, turning this into a three- or four-day excursion. For example, Ouray boasts luscious hot springs and has been nicknamed the "Switzerland of the U.S." thanks to its alpine feel. Then there's Durango, where you can take a trip on a steam train and do some kayaking. Then take a trip to the historic Mesa Verde National Park, which showcases the fascinating cliff dwellings of the Ancestral Pueblo people, who used to live there.